What was the first video game console? If you said the Atari 2600, you would be wrong, but we’d forgive you. After all, the Atari was early and widely sold. It also had the major features you expect from a video game. However, there was an earlier console available. the Magnavox Odyssey. This system was black and white, had two wired controllers, and while it didn’t quite have cartridges, you could select from one of several games. The system seems inexpensive today at $100 (not including the optional light gun). However, adjusting for 1972 currency value, that’s equivalent to about $600 today. It was not an impulse buy, and the differentiation between games was mostly an exercise in imagination. But the the Magnavox Odyssey nevertheless brought computer technology into the home and that was exciting. It proved a market existed for home video gaming, and served no small part in the success of Atari. The console developed by [Ralph Baer] did lack quite a few modern features: no color, no sound, and — in fact — it could only display 3 dots and a vertical line on the screen. Depending on the game, the dots did different things. For example, a pong game used two dots as player paddles with the third dot as the puck. You can see a 1972 ad for the game, below. [Baer] originally thought of the TV game in 1966. He wound up making seven prototypes and the seventh — called “the brown box” — was the one Magnavox agreed to produce and market. He also received patents on the idea, which would become a critical point of the story years later. He actually did the work as part of his job with a defense contractor, but produced the first prototype “under the radar” until he had a working prototype to demonstrate to management. An example of the cling-wrap overlays that came with the game. The game employed diode–transistor logic using discrete transistors and diodes. ICs of the day were too expensive, although by the time the console came to market ICs were more affordable. Programming was via “game cards” that were actual printed circuit jumper boards that plugged into the console. Some of the cards served for multiple games. As important as those early “cartridges”, some games came with static cling plastic screen overlays which you would place on the television screen to make the game appear different even though the three dots on the screen did the same thing. These optical cues combines with different rules applied to the same onscreen elements make up the “imagination” component I mentioned earlier. The controllers had a reset button and 3 knobs. A knob on the console let you move the vertical line which might be the center of a tennis court or a wall in a handball game. Many companies were offered the new device. None were interested, although one executive at RCA was impressed and when he went to Magnavox, he convinced the company to look at the new device. Magnavox made some changes including removing color output and adding the game cards for configuration. Numbers are somewhat in dispute, but Magnavox sold about 100,000 units the first year. By 1975 they’d sold 350,000. The price was probably keeping a lid on sales, but it wasn’t just the price. Magnavox elected to only sell the games via authorized dealers who sold their TVs. Even though the game would work with just about any TV, the dealers often strongly implied that it would only work with a Magnavox TV — the better to sell a new TV. Magnavox almost discontinued the device when initial sales were somewhat disappointing. But there was some demand and they produced a few more which eventually sold. During this time a man named [Nolan Bushnell] had been servicing pinball machines to keep himself afloat while working on starting a video game hardware company. [Bushnell] saw a demo of Odyssey’s tennis game and had his burgeoning company, Atari, begin development on a similar game which turned into the coin-op arcade version of Pong. The sales of this actually helped drive sales of Odyssey, too. Magnavox eventually produced a line of consoles that didn’t have the plug cards and only played a few games, and they eventually produced a second version of the Odyssey as well. But there had not been much new game development, despite [Baer’s] proposals, which made the follow-up hardware a hard sell. Once Atari became a big enough target, Magnavox sued Atari and several other companies for patent infringement. At the end, Atari was on the hook for $1.5 million dollars and Magnavox wound up making about $100 million from the patent lawsuits. In 1985, Nintendo sued to invalidate the patents. They argued that an earlier tennis game invalidated the patent. However, the court decided that because that game Nintendo was citing used an oscilloscope and not a TV signal, it didn’t apply. The two patents, by the way, cover TV gaming and the use for training. In practice, most of the lawsuits focused on games that used knob-based controllers for games that resembled the Odyssey games. Although it didn’t look like much, the Odyssey launched the home video game business. Although Magnavox gets the credit, the real credit goes to [Baer] and his vision as well as his ability to convince a company that had no reason to produce a piece of consumer electronics to do it anyway. 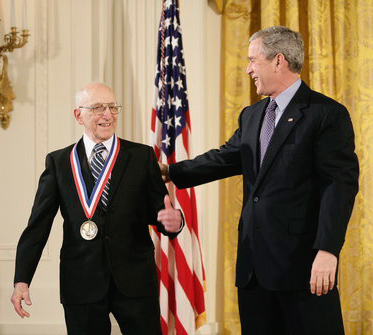 He did receive the National Medal of Technology for his work. We are always surprised there aren’t more Odyssey emulators, especially in hardware. There are a few software emulators, but this would be a great project for an Arduino. There are lots of cheap ways to generate analog video (with color, even) from an Arduino, or you could use a video card, but that does feel like cheating, a little. Lost mine years ago. Came in a white plastic case with the overlays, poker chips, and some other stuff. No it didn’t have cartridges as we know it, it did have plastic cards that plugged into a slot. Yes but do you guys back there in Hack A Day country know what Micro the final version of that game used? Hint: Same as the one used by Lee’s Membership card, and the forest friends of Bilbo. What no takers? CDP1802. And the systems who used it other then Lee’s card, were called Elf. Yes. I can still assemble and disassemble 1802 hex codes from memory. Love that chip. You sir, are a Member of the High Council of the Nerdling Realm! I’m not sure what you are talking about but the Magnavox Odyssey did not have a microprocessor. Are you talking about the Channel F? There used to be a video on YouTube of someone who converted their Channel F so it could run Cosmac Elf games. It’s the Magnavox one. I remember examining one in high school, and having examined the documents for the CDP1802 family, I recognized the chips and said as much. The Fairchild Channel F came later, but much before the Atari idea. Channel F used the F8 processors , and Atari used the 6502. As stated by [don] above, the Magnavox Odyssey used discrete logic. It didn’t have a CPU. My bad, I meant the RCA Studio II and it was someone on YouTube modding a Studio II to run Cosmac Elf software. No AVGN? Shame on you, HaD. Maganavox would later get sued over a videogame for their Odyssey^2 console. Namco sued over the K.C. Munckin game, claiming it was copying Pac-Man. Prior to the Magnavox Odyssey game, a company sold a Pong game that was a large (about the size of a lunch tray) flat box with 4 knobs that allowed people to sit around the box and play. It was completely implemented in discrete logic. I think that there was a 2/4 player switch and maybe another switch to select some minor variation on the game. This was around 1975. I was working at a TV shop that sold Magnavox at the time. The Pong game arrived before the Magnavox system and was much less finished looking. The Pong game had a garage built feel to it, while the Magavox game was pretty finished looking. The Pong game showed up a few months before the Magnavox game, but not by much. Could be, I guess. Neither game was particularly impressive, even as a completely new category. The implementation was more interesting than the game. Were you trying to go for a world record in the category of “Most Factually Wrong Comment on Hackaday”? The original xbox was created in 1066 when William the Conqueror asked one of his assistants to “bring me some 1337 hax and dank nugs,” thus averting the battle of Hastings and staving over Normal acquisition of England for another hundred years. I defer to your obvious wisdom on this matter! I thine we had one of these before I broke it. 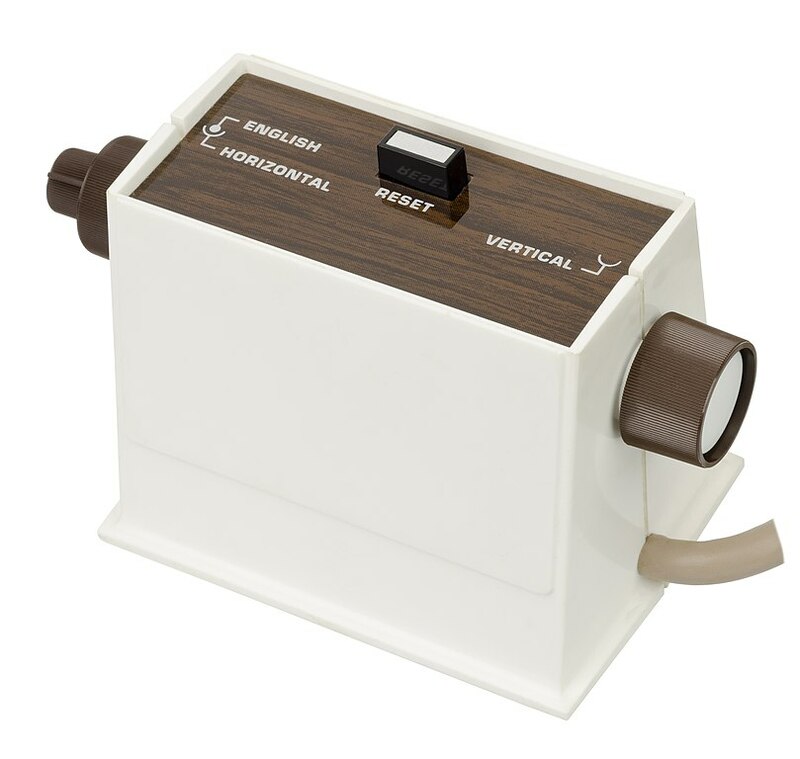 It had external power or battery options, also had sound so you could turn it on and hear it playing even if not plugged in to a TV, I think ’76 or ’77 is when we got ours. I have a radofin tele-sports bat and ball “sports” style home arcade machine as a curiosity in my home collection, but I looked and its later by quite a few years, in fact almost the same as the wood 2600 which I assumed was much later because its a MUCH better console, and similar in vintage to the acetronic mpu2000 which was also sold by radofin as a compettitor to the atari (color, cartridge games etc), maybe it was a price thing, here’s our super cheap pong model, then the mpu2000 is more expensive, then top of the tree was the expensive atari. I had a zx81 by then but older brothers had the acetronic machines. I wonder how radofin got away with selling what was essentially the same design and assumed they had just ignored patents then I looked it up, and they licensed it from magnavox then went on to churn out clones for both their own brand and various others. Which is more than the french manufacturer Jeutel managed to do. If I ever see a magnavox original on a car boot sale stand for 50p, that will be coming home too now for sure. Not that something so weird looking wouldnt come home anyway regardless. The side mounted knobs on the Odyssey controller look sort of inspired by the knob on the side of that thing Spock was always looking into on the Enterprise bridge.